As a newly emerged millennial concept, startups have been an extremely trending topic in the Business industry lately. Which doesn’t come as a surprise, considering that the nature of these companies is innovation, describing perfectly the modern generation of highly-technological and digitally-oriented people. If you are not familiar with the concept, a startup is a company that aims to penetrate a niche market by developing an innovative product or service to solve an existing problem. In other words, instead of focusing on an already proven business model, startups take the challenge to create their own, despite the high costs and the risk of ending with a solution that is not working. In many occasions, these companies implement technology to innovate and improve an existing service, such as the case with UBER and Airbnb. Some startups achieve much more than discovering and penetrating a market niche – they become a groundbreaking, global sensation. A unicorn startup is a company that is valued at over 1 billion dollars. The term was invented by the venture capitalist Aileen Lee in 2013, who compared the rare occasion for a startup to reach this evaluation to the mythical creature. A decacorn is used for the companies that reach a 10-billion-dollars of evaluation, and a hectacorn is reserved for the 100+ billion-dollar-startups. How are unicorn startups evaluated? The valuation for unicorn startup companies differs from the one for well-established companies. While normally a company’s value is based on its past performances, a startup valuation takes into account growth opportunities and expected development in the long run for its potential market. The valuation for unicorn startups is usually a result from funding rounds of large venture capital firms that decide to invest in them. Another way to achieve an approximate estimation are the cases in which a large, well-established company, buys out the startup and determines its valuation. One popular example is the buy out of Instagram by Facebook, giving it a $1 billion valuation and the status of a unicorn. Which are 8 most valuable startups in the world? (Note: this is the latest update on the topic, published by Business Insider as of January, 2017). The 8th place on the list goes to Dropbox, a file hosting service that offers cloud storage, file sharing and synchronization, and other software services. The startup company achieved a $10 billion dollar evaluation after a $617 million funding round, becoming a decacorn in 2014. While Dropbox isn’t purely transparent when it comes to its revenue numbers, the CEO Drew Houston claimed a $1 billion revenue in 2017. Pinterest places 7th among the most valuable unicorn startups worldwide, raising $533 million from investors like Goldman Sachs and First Mark. Pinterest is a social network startup that allows its users to discover information, images and videos, and share them in a visual way by “pinning” them on the platform. While the company doesn’t get as much attention as Facebook or Instagram, it is among the most popular social media platforms in the world. Although their revenue in 2017 is not confirmed yet, the company expects to reach between $500 and $600 million by the end of the year. 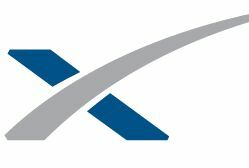 SpaceX, founded by the co-founder of PayPal and the CEO of Tesla Elon Musk, is an American aerospace manufacturer and provider of space transportation services. The company was established with the purpose of reducing space travelling costs and making the colonization of Mars possible. It is the first private company to successfully launch a spacecraft. According to Quartz, the company suffered a $250 million loss after an incident of a rocket on a mission to the International Space Station. The revenue in 2016 and 2017 is not officially announced. The unicorn startup WeWork reached a 16.9 billion valuation after closing a $690 million on funding this year, making it into top 5 of the most valuable startups. WeWork is an American company founded by Adam Neumann with the purpose of providing a shared workspace and community for entrepreneurs, freelancers, startups, and businesses. The company has raised more than $1.8 billion from investment since its foundation, and it’s about to reach a $1 billion dollar revenue this year according to its CEO. Snap Inc, better known as Snapchat, is an extremely popular image messaging and multimedia mobile app with more than 173 million active daily users. The unicorn startup is currently filing for an initial public offering (IPO), which might raise significantly its value to more than $25 billion. However, despite its popularity and huge market share, Snapchat suffered a net revenue loss of $443 million in the second quarter of Q2 in comparison to last year. 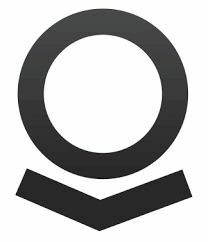 Palantir Technologies, a startup that specializes in data mining and big data analysis, reached a $20 billion dollar valuation after raising a $2 billion of venture capital investment last year. The company was founded by Peter Thiel and Alex Karp in 2004, and it was considered by Forbes “among Silicon Valley’s most valuable private technology companies”. While the exact revenue in 2017 is undisclosed by the company, many authoritative sources consider it to be nonprofitable yet. 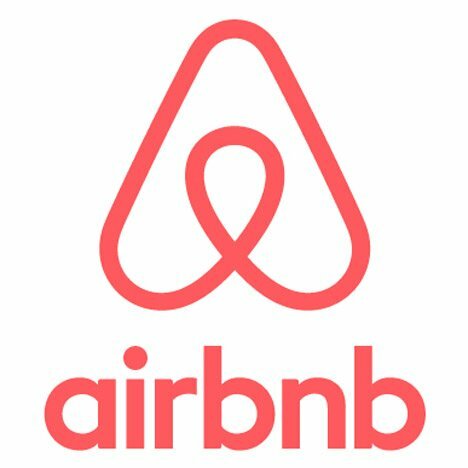 Airbnb, one of the world’s most popular hospitality service company for leasing and renting homes across the globe, is considered the second most valuable company on the list after raising a $850 million round of venture capital investment in 2016. The unicorn startup has over 3,000,000 lodging listings in 65,000 cities and 191 countries. In 2016, the company logged $100 million profits out of 1.7 billion in total revenue, and it’s predicting a $2.8 billion revenue in 2017. UBER, the global transportation technology company founded in 2009, became a global sensation after introducing a business model based on shared economy. But despite its success, the unicorn startup faced a lot of controversy (you can find more information on that here), and was banned or limited in many countries as a result of violating local laws. Despite all the scandals, the company generated $1.75 billion in the second quarter of 2017, narrowing losses by 9% to $645 million according to Bloomberg.